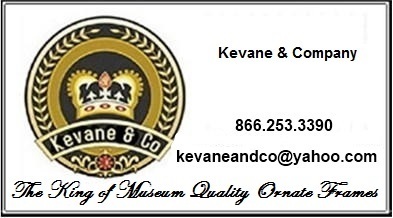 Kevane & Company has searched far and wide to find this extraordinary collection of 48 X 60 Large Picture Frames! Please be sure not to miss our entire collection of Picture Frames. or Frames By Size. 48 X 60 Picture Frames - Ornate Gold Frames - Frame Style #313 - 48"X60"
Picture Frames 48"x60" - Gold Picture Frames - Frame Style #370 - 48"x60"
48 X 60 Picture Frames - Gold Frame - Frame Style #390 - 48" X 60"
Sale price: $1,208.41 Picture Frames 48" x 60" - Ornate Black & Gold Picture Frame - Frame Style #394 - 48" x 60"
48X60 Picture Frames - Black & Gold Ornate Picture Frame - Frame Style #406 - 48" X 60"
Picture Frames 48"x60" - Silver Picture Frames - Frame Style #416 - 48"x60"